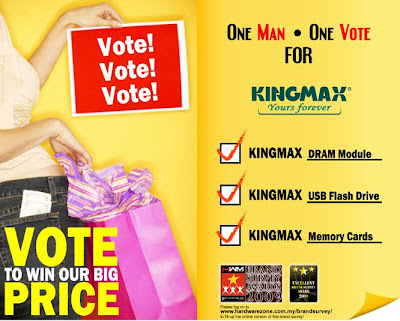 Kingmax was voted as 3rd consumer's choice during 3C Digital- Ultimate IT Brand Awards 2008. Now, we need your support for the upcoming HWM Brand Survey Awards 2009. Thanks for supporting MCM & Kingmax throughout the days.